In the midst of busy wedding planning, your clients are undoubtedly busy hence they may overlook the most important detail in their wedding, their marriage administration and registration. And if you happen to be their trusted wedding planner, you surely don't want your clients to miss this crucial part of their marriage. This is so that your clients can be officially declared as husband and wife by law and by religion. Thus, it's important for you to know the basics and some know-hows of preparing wedding administration and documents. It is suggested that your client start preparing as early as 6 months before their wedding or at least 3 months. During this time, they will have to compile all necessary documents and reference letters that will be used as part of the civil marriage registration process. Please note that the process differs from one religion to another, nationality, the place of worship and the location of the wedding. 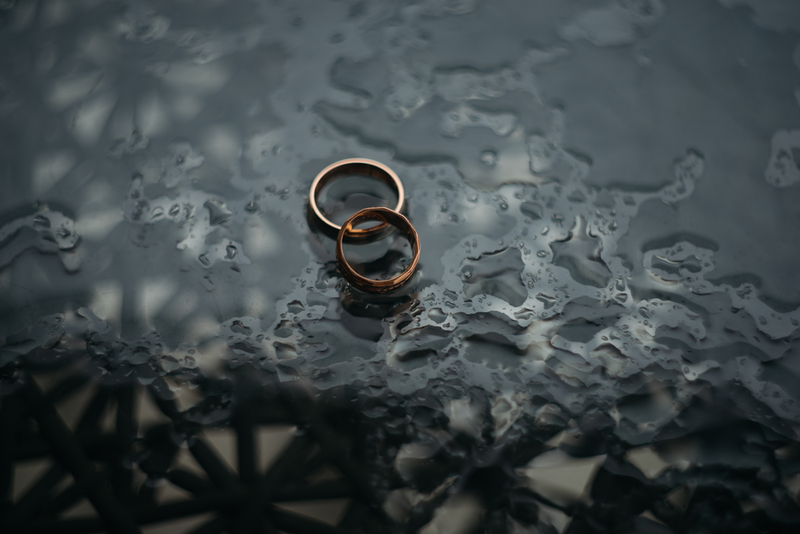 So you and your clients will have to be meticulous in the document prepping, as well as learn the terms and conditions that has been set by the registry of marriage. 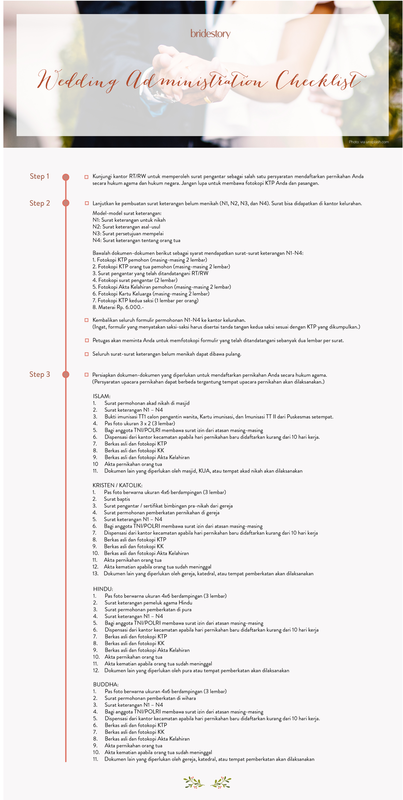 But fret not, we've compiled all the necessary steps and documents to prepare and came out with this checklist for Indonesian weddings right below! With this checklist, we hope that both you and your clients can be at ease and that their big day will go on without a glitch. It would be best to advise your clients that they should be careful with all the documents and don't share it hastily to others, which includes paying a third-party service to help you or your clients with it. This is to ensure that important personal datas are not made publicly and fall into the wrong hands and furthermore, avoid illegal wedding registration. Have some tips of your own about wedding administration? Share them on the comment box below!